WSOP and DraftKings have put their sponsorship relationship on hold after daily fantasy sports ruling in Nevada. 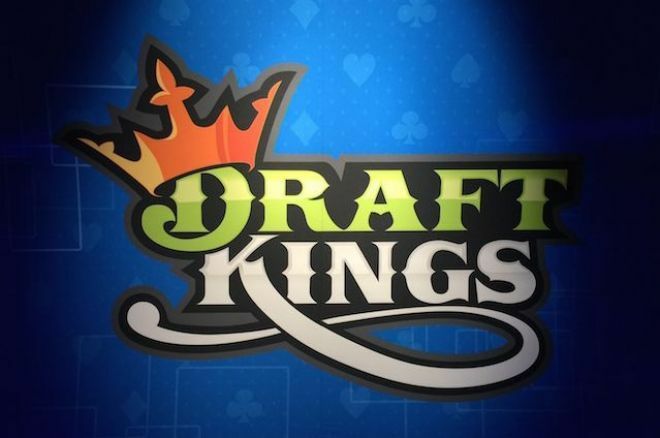 The World Series of Poker and daily fantasy sports (DFS) operator DraftKings have had a fruitful, mutually beneficial relationship, but the marriage has ended after Nevada labeled DFS as gambling and determined that operators will need gaming licenses to exist in the state. Dan Cypra of PocketFives reported that DraftKings asked the WSOP to cease sponsorship activities, and the WSOP will comply. The DraftKings lobby is now devoid of satellites to WSOP tournaments, and Cypra speculated that DraftKings commercials and sponsorship mentions will likely be absent from WSOP broadcasts in the near future. DraftKings has been a heavy presence at the WSOP the past few years, with one of the first notable appearances coming in 2012 when Greg Merson made the final table of the Main Event and ultimately won while sporting a DraftKings patch on his left arm. Things progressed from there and hit a peak at the 2015 WSOP with more than 100 players qualified through DraftKings satellites and the DraftKings Lounge occupying the prominent stage of the Pavilion room. Poker and DFS have had a lot of natural crossover appeal as games blending skill and chance, as DraftKings Chief Revenue Officer Matt Kalish said in an interview with PokerNews this summer. "I think the biggest reason why is there's something that people have in common who are attracted by strategy or skill games," he said. "Anything that has depth and complexity and isn't easily solved." Thus, DraftKings made it a goal to increase its presence at the WSOP, and Kalish said he had high hopes the partnership would continue to expand into 2016 and beyond. Now, though, DFS sites have had to hastily pull out of Nevada after the announcement that operators would need gaming licenses. Things could change in the coming months as the murky legal landscape surrounding DFS comes into clearer focus, but for now at least, the relationship between DraftKings and the WSOP is on ice.